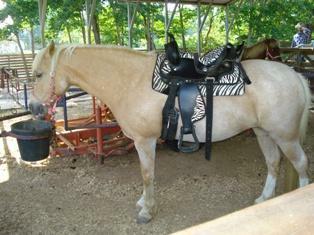 Jubilee Zoo is your Family Fun Facility. 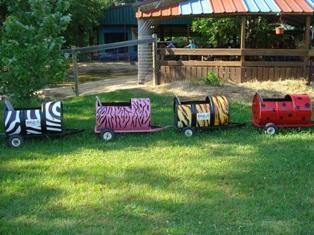 We feature a Petting Zoo, Pony Rides, Bounce Houses, Exotic Animals, Playground/Picnic area, Seasonal Water Play Splash Pad, and our awesome Safari Hay Ride! 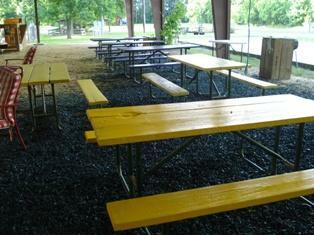 Our covered, mist-cooled, petting zoo area makes for comfortable visiting in most weather. Join us for Reunions, Birthdays, Field Trips, Company Picnics, Sport or Scout events, and any time for Family Fun! As we must plan to pad our feed budget to last through the winter months when business is slow, we do charge a premium for animal feed at the zoo. 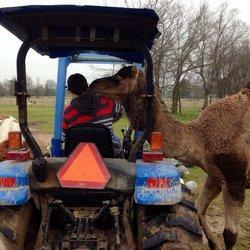 You may only feed our animals our feed. We know our feed is healthy for our animals. Our RED party area is more secluded than the other areas. 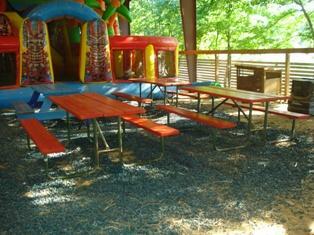 Our YELLOW party area is ideal for large parties. 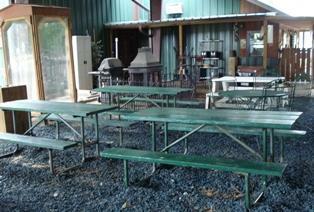 Our GREEN party area is close to restrooms and concession area.